"Magic Fly (Remixes Vol 2)"
Magic Fly heads into new territory with a trio of Orchestral versions and a leftfield spin on the original. 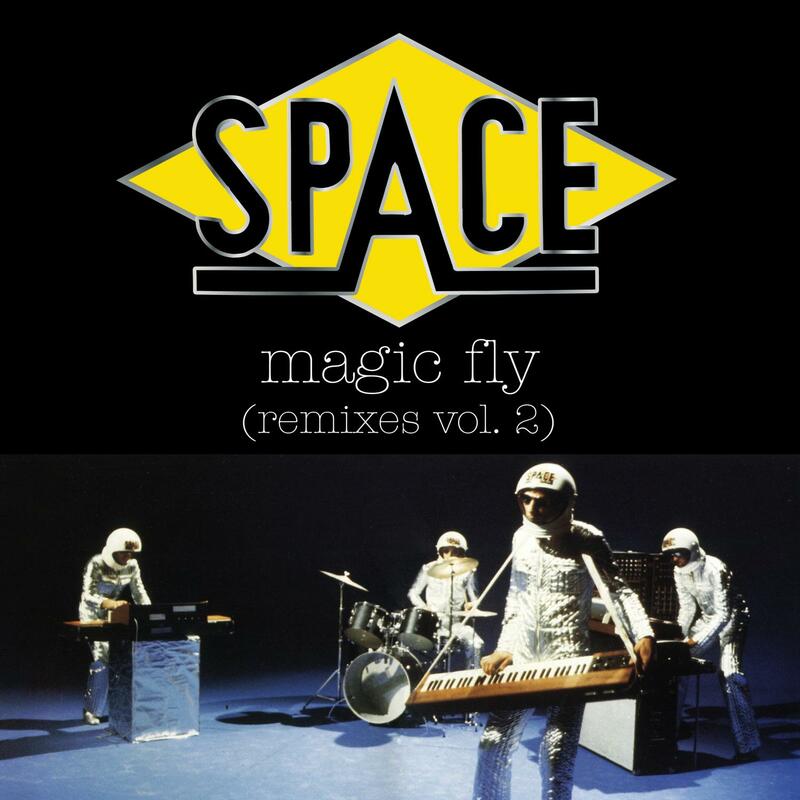 We've compiled a selection of remixes for Space's massive hit "Magic Fly" which originally came out in 1977 on an album of the same name. The track went to number two in the UK singles chart and top 10 in many other European countries. The brain child of French producer JP Iliescuo he assembled a crack band of French session musicians for (at the time) a previously unheard cosmic-disco-synth combination. The lead melody came from talented young composer Didier Marouani (also known as Ecama). For a second volume of the Magic Fly remixes we focus first on a string-laden extended work out form Nang head-honcho Loudery. He breaks out the orchestra for a symphonic spin on the original. Lush 50 part strings back the all famous melody and bring a touch a cinematic scope as the song progresses. UK based electronic producer Marcel Lune is next. He reworks the original with a percussive bass line, darting vocal samples and layered keys. A Left field and deep take on the original. The 1977 original follows with its 2011 remaster treatment, taking it to sonic places it has never been before. We round off with a short trip back to Prague for more time with the Prague Philharmonic Orchestra. UK producer John Bryan turns in a duo of stripped back orchestral interludes. First the 'widescreen' version which his melody and strings and then the strings only 'Orcapella'. One for the film score departments. Remix & Additional Production by 01. Loudery, 02. Marcel Lune, 04 & 05. John Bryan.